Attention, book lovers! My wife, Carla (Boing Boing co-founder), Kevin Kelly (Wired co-founder), and I have launched Wink, a site that reviews one remarkable book that belongs on paper every weekday. Our test for Winkdom is simple: would this book work as an ebook? If yes, we ignore it. 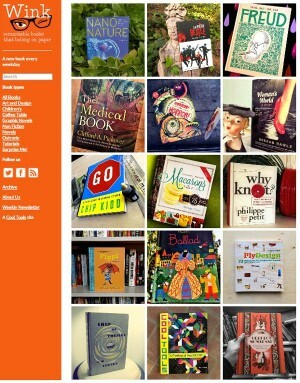 via Wink: daily reviews of remarkable books that belong on paper – Boing Boing.